True gamers will recognize the importance of having a great headset for a perfect gaming experience. Without an authentic sound quality to rely on, the gaming experience just isn’t complete. As a result, the best brands in the world are working hard to come up with competent audio solutions designed especially for gaming. Razer is one of these brands. 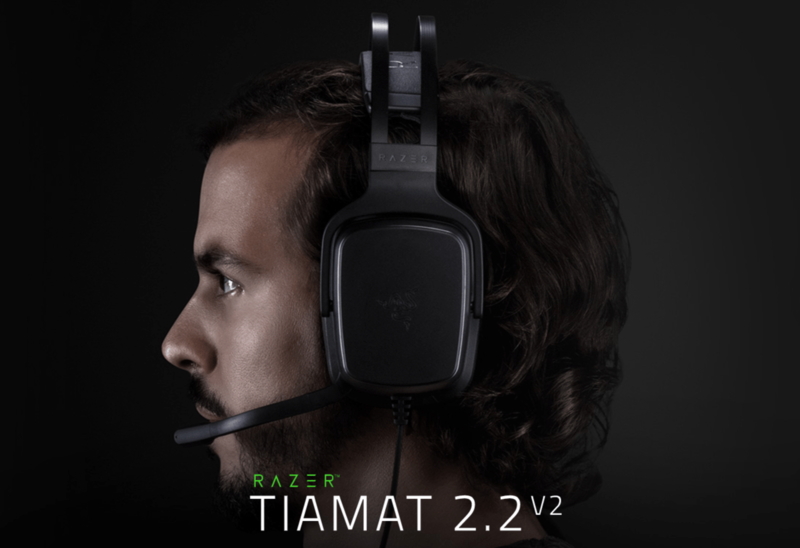 The company recently launched two brand new headsets: the new Razer Tiamat 7.1 V2 and Tiamat 2.2, some of the best gaming headsets you can get at the moment. The devices use the most advanced audio technology to render fully immersive crystal clear sounds. The Tiamat 7.1 V2 brings a true 7.1 experience and provides users with a reliable source of high-quality audio for their games. The technology behind this headset allows Razer to pair 5 discrete drivers on each ear cup. This gives users of the new Tiamat 7.1 V2 a total of 10 drives that will pump high fidelity audio. Aside from 5 discrete drives, the ear cups each contain a subwoofer measuring 40mm. This ensures that a wider selection of frequencies is supported, giving users the best experience. The drives are positioned strategically at measured intervals across the ear cup, measuring from 20mm to 30mm. This second option features an exclusive addition in the form of 50mm subwoofers. These are responsible for one of the ear cups and provide a crisp sound quality that is very hard to rival. The headset features a digital boom mic and can be adjusted so that it fits your style and preferences perfectly. That’s not the only instance in which the headset proves its versatility: thanks to its in-line control, the headset can be fiddled with and used with a multitude of devices and platforms. So if you’re a PC gamer, console gamer or even a Mac gamer, you can easily incorporate the Razer Tiamat into your setup. If you’re interested in purchasing either model, go to Razer’s official store. You can also get the headphones from one of the many retailers that will soon have it in stock worldwide. The two headsets have a bit of a price bump between them and choosing between the two models is definitely not an easy task. The Tiamat 7.1 V2 costs around $200 whereas the Tiamat 2.2 V2 is available for around $130.